Kylie Jenner and Travis Scott have taken baby Stormi on holiday to the South of France with a group of friends. Kylie Jenner and Travis Scott have taken their daughter Stormi on a family trip to France. The 20-year-old reality star was photographed boarding a private jet in Los Angeles cradling her four-month-old daughter in her arms and shielding her from cameras, while her 27-year-old boyfriend was carrying what appeared to be a Louis Vuitton tote bag. The couple flew to Nice in the South of France before heading to Cannes, where the rapper was due to perform at Spotify's beach party at the Cannes Lions Festival. 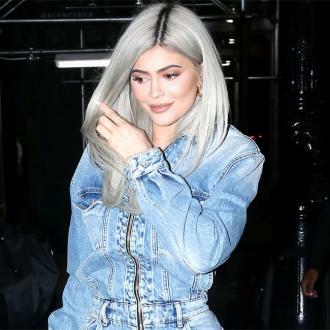 But he and Kylie decided to turn the gig into a fun trip and they have been joined by two nannies, the 'Life of Kylie' star's assistant and a group of friends. The 'Keeping Up With the Kardashians' star recently removed her daughter's pictures from social media after getting upset with cruel comments she'd received. 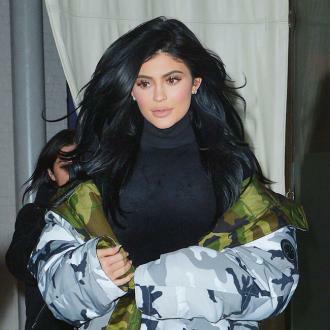 A source said recently: ''Kylie felt so protective of her baby when she was pregnant. This is why she didn't share any bump pictures while she was pregnant. After Stormi was born, Kylie was the proudest mom. ''She couldn't wait to show off Stormi to her fans. She posted pictures, because she was so excited to be a mom. Unfortunately, social media is a crazy place. People have been making nasty comments [about Stormi]. And it was also claimed it had been advised for her to take down the photos as she'd received threats to kidnap Stormi. Another source said: ''It's been really upsetting for Kylie, because also some of the comments are direct threats to kidnap her. Some people have commented saying it's all Kylie's fault because she has exposed her by putting her on social media.